For Bromley Dementia Awareness Week 2017, an Afternoon Tea Hamper was up for grabs in a free raffle, open to the public visiting Tesco Orpington and Bromley High Street Market Stalls on 16th and 20th May. 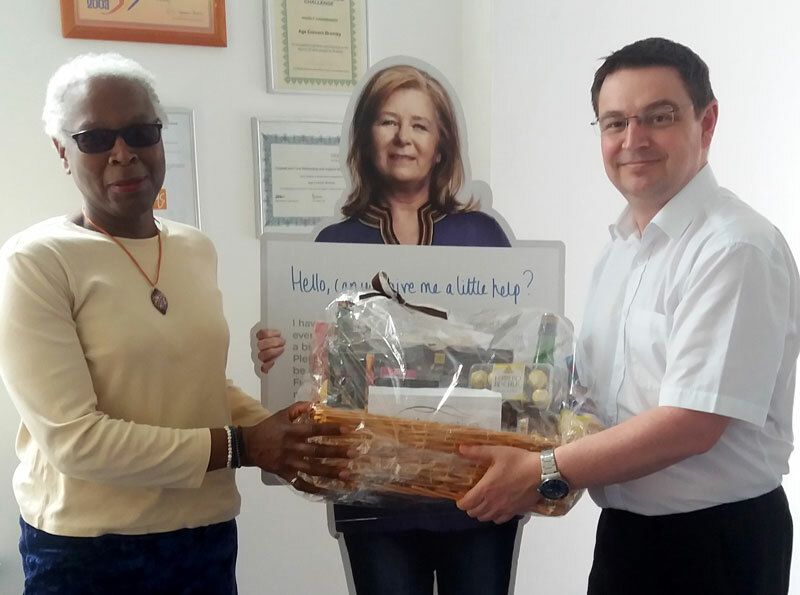 Our lucky winner (photographed but who wishes not be named), collected the Afternoon Tea Hamper from Community House, in South Street, Bromley on Wednesday 24th May. The prize was presented by Mark Ellison, Chief Executive of Age UK Bromley & Greenwich. A big thank you to the Coop, MindCare Dementia Support, CWJ Solicitors and MyTime Active for donating food, drink and vouchers for the Dementia Awareness Week 2017 hamper. Bromley Dementia Awareness Week 2017 news. During Bromley Dementia Awareness Week 2017, we are pleased to be offering a free raffle for one lucky person to win an Afternoon Tea Hamper. The Hamper includes food and drink for an Afternoon Tea, kindly donated by Coop and MindCare Dementia Support (part of Bromley & Lewisham Mind). 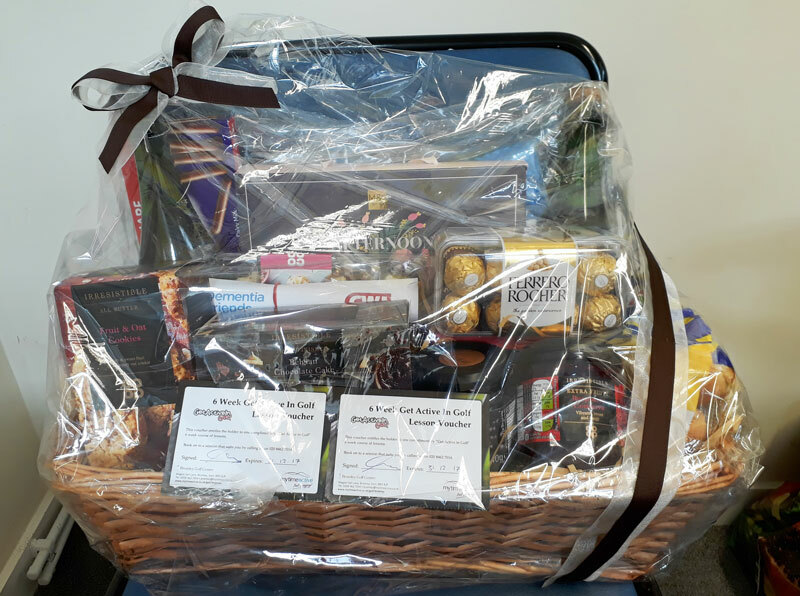 The Afternoon Tea Hamper winner will also receive a voucher for a free will courtesy of CWJ Solicitors in Orpington and a voucher for a 6 week course of golf lessons at MyTime Active in Bromley. You can claim your free raffle tickets from dementia information stalls in Tesco Orpington on Tuesday 16th May and from our Dementia Awareness Week stall at Bromley High Street Market stalls on Friday 19th May.